It’s a rainy Monday in Buenos Aires. Luckily, there’s still plenty to do. Here’s our list of “Rainy Day Activities.” Many of these activities are the sort of luxuries I don’t usually allow myself when traveling since I’m on a budget. But a little treat on a rainy day is always welcome. Some of the others are free or cheap, for those counting their pesos. I love watching movies in other countries. Moviegoers around the world have different customs. For one thing, you can order your popcorn (popchocle) either sweet (dulce) or salty (salado) and you can also have a beer with it. But the main reason I like seeing movies in other countries is because our culture determines how we react, or don’t react, to different parts of the story. I’ve often found myself laughing out loud when everyone else is silent and scratching my head when the people next to me are cracking up. You can find a list of cinemas in Buenos Aires at Time Out Buenos Aires.Another reason to go to the movies is that it’s a great way to practice your Spanish (castellano). If the movie is in English, it’s typically subtitled in Spanish. It’s two hours of entertainment and a language lesson all in one. And if you really want to test your language skills, check out a local film. Museums sometimes make me sleepy. I think the maximum amount of time I can spend looking at art is about two hours. 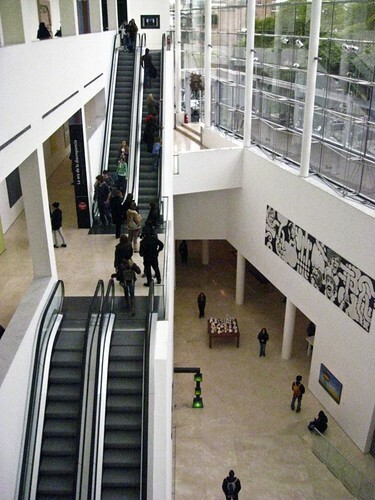 This is why I love the MALBA (Museo de Arte Latinoamericano de Buenos Aires). The collection is just the right size for me. After wandering through the rooms, I could have still seen another room or tow. I wanted more because I got to see works from artists I’ve long admired like Frida Kahlo and Diego Rivera and because I’d never even heard of some of the other artists like Antonio Berni, Jorge de la Vega, Joaquin Torres-Garcia (from Uruguay). The size of the collection meant that I had the time to stay, observe, take in, and enjoy the works without rushing to the next room because my niece was going to run out of steam. Even my 15-year-old niece loved the art. She did run out of steam before the rest of us. So, she went to the cafe to catch up on her summer reading. We found her there pretending to be a local and sipping hot chocolate. She couldn’t stop talking about how it was the best hot chocolate she’d ever had in her life. Then she begged us to stay there for lunch. I was skeptical because museum food is often touristy and, well, bad. Not the Cafe des Arts. 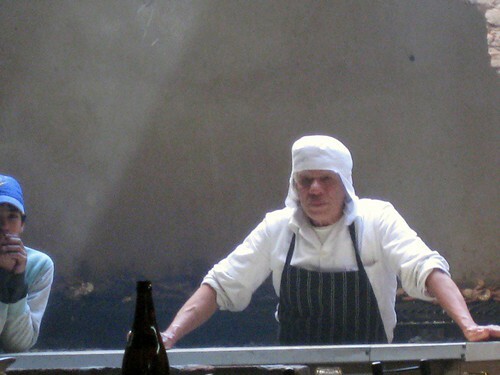 The chef, Jean Paul Bondoux, is from Bourgogne in France. Not suprisingly, every plate was fantastic. 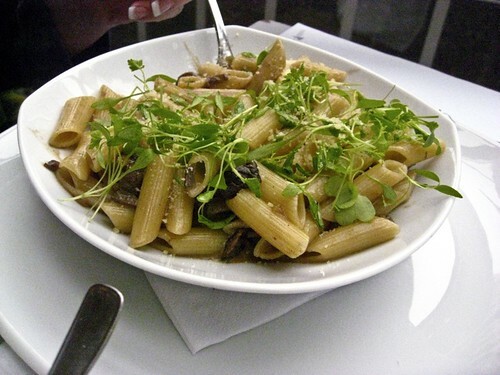 From the sandwiches with fresh salad and crisp french fries to the plate of pasta with mushrooms. It was all delicious. The museum is open from noon to 8PM, Thursday to Sunday and from noon to 9PM on Wednesdays when entrance to the museum is free (they ask for a 5 peso donation). Otherwise, it costs 15 pesos to enter. 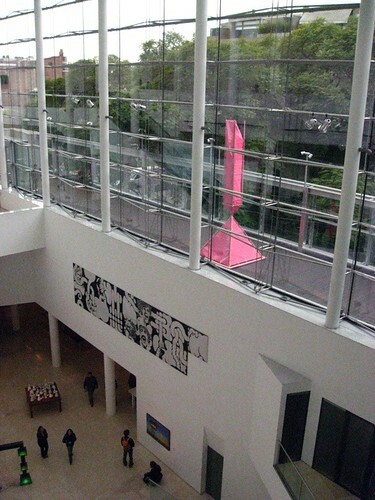 MALBA is closed on Tuesdays. From Thursday to Sunday, MALBAcine shows artsy films starting at 2PM until midnight most days. 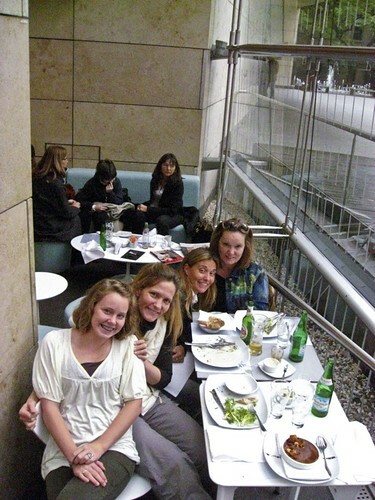 I’m not much of a shopper, but shopping in Buenos Aires is a cultural experience and I’m all for cultural experiences. If it’s raining outside, you’ll probably want to take shelter in one of the many shopping centers. Here are the two I’d go to because you could spend the whole day there even if you don’t like to shop. I’d probably start at Galerias Pacifico because the turn-of-the-century building is gorgeous. The frescoes on the ceiling were painted by five Argentinean muralists. You can sit in the cafe down near the fountain and people-watch all afternoon, but the main reason I’d choose this shopping center is because on the top floor you’ll find the Centro Cultural Borges. There are art exhibits, live performances of music and dance, and showings of independent films. It’s open from 10AM to 9PM, Monday to Saturday and from noon to 9PM on Sundays. Tickets cost 10 pesos. 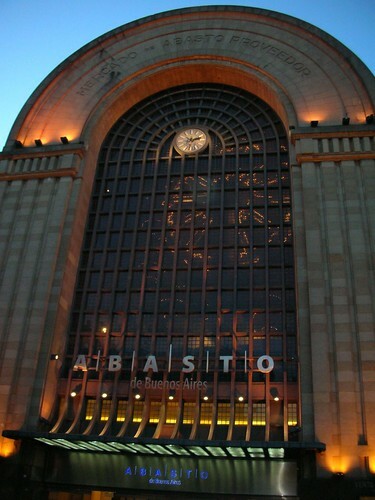 The second shopping center I want to mention is Abasto. While I would prefer to go on a sunny day so that I could wander the streets of nearby Once, if you’re short on time and it’s raining, Abasto is a great option. I like Once, the nearby barrio, because it reminds me of the huge market in Cairo, although it looks nothing like it. But there are blocks devoted to textiles, others devoted to electronics, or to houseware, or to handbags. It’s lively haggling and full of energy. And there are some great Jewish delis in the neighborhood (try the empanadas arabes). Ok, so now that I’ve sold you on Once, let me sell you on Abasto. First off, you’d likely be the only tourist in the mall. Secondly, the building is amazing. 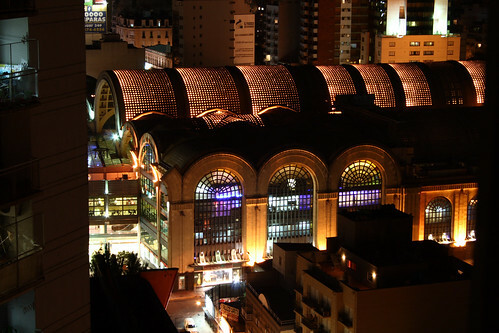 Abasto is in the old tango district of Buenos Aires and the shopping center is housed in the old market, El Mercado de Abasto. It’s a very creative way to preserve old buildings whose purpose needs to be reinvented. 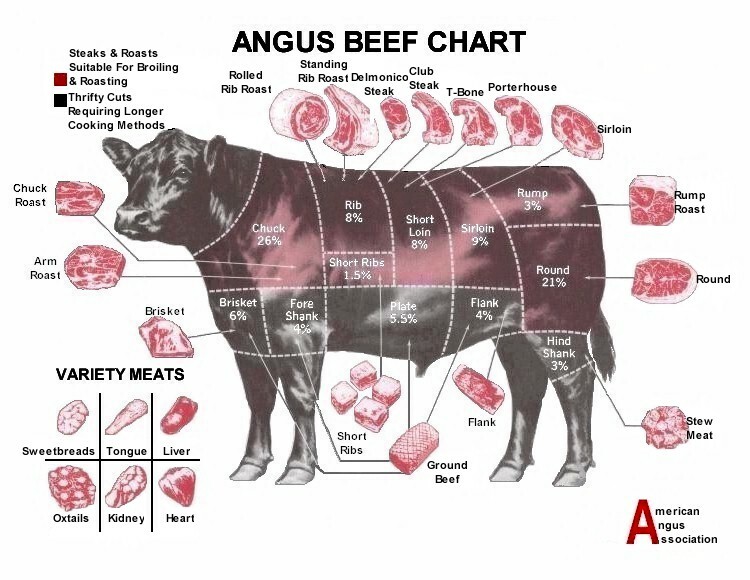 Years ago you’d find produce, meats, and flowers. Today, in this beautiful example of Art Deco architecture from the 1930s, you can find Nike, Puma, and many other brands. There are over 200 stores, likely the most diverse shopping center in the city, so there’s something for everyone. 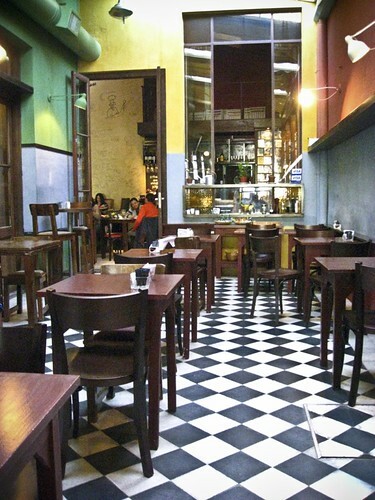 For more on the history of the area and the building, read the Buenos Aires Argentina Guide. Well, why not? I’m the kind of person who puts off pampering myself. I say I’ll go, but I really only treat myself when someone else gifts it to me. 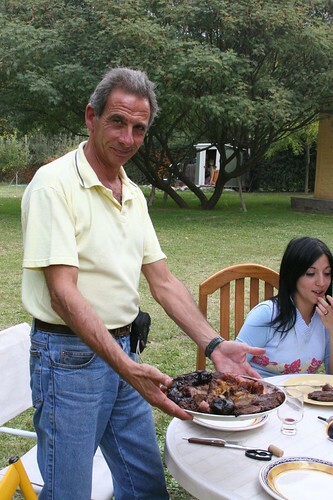 That said, the only massage I’ve had in Buenos Aires was at Valle Tierra (it was a gift from my swamp sister, Natalia). The massage was excellent. I also liked the decor. It was calming, but not sterile. The furniture, rugs, and pieces of art come from the northern regions of Argentina (think Santa Fe, New Mexico). Lots of earthy tones. A couple the stayed with us a few weeks ago on their honeymoon spent a day at AquaVita. After months of planning the wedding and a weekend of serious celebration, a spa was what they needed. They had very good things to say about AquaVita. But I found a review from the Times Online where a commenter had a less favorable opinion. Since the complaint was about the customer service, and since I know that the idea of customer service here in Argentina is very different from the US and the UK, I’d take that complaint with a grain of salt. Or better. If you’re going to a spa, focus on the facilities and the quality of the massages. Ignore the service because you may not be able to relax unless you do. 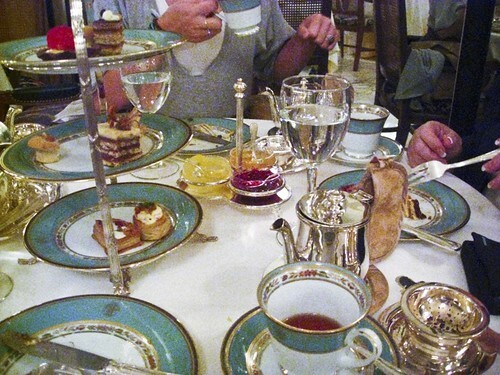 Indulge yourself at the Alvear Palace Hotel, one of Buenos Aires’ most beautiful hotels, for afternoon tea. 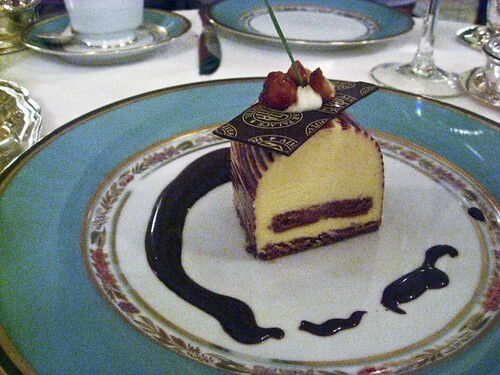 this is a seriously decadent, albeit hoity-toity, experience. L’Orangerie is the restaurant in the hotel that serves high tea. Rule #1: ignore the snobby socialites looking at you because you are clearly nobody they recognize as important (besides, you are important, they just don’t know it). However, if fitting in matters to you, get dressed up and be sure to wear your pearls. Rule #2: only order one full tea for three or fewer people. One is plenty for three people. Rule #3: take your time. Just when you think they’ve brought all the goodies to the table and you’ve stuffed yourself full, out comes another plate. I love books. My sister’s attic is full of boxes of books I just can’t part with. One day she’s going to make me decide. To keep my book collection manageable, I now check the book out thoroughly before buying it. I can spend hours browsing the bookshelves, flipping the pages, asking myself if I can live without this book. My favorite bookstores for a rainy afternoon are El Ateneo, in Barrio Norte/Recoleta, and Boutique del Libro, in Palermo. They offer very different experiences. 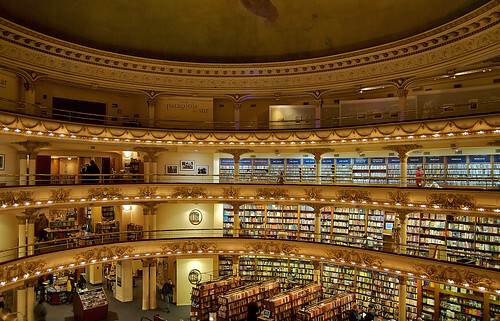 El Ateneo is the most beautiful bookstore in the world. I’m not exaggerating. They took an old theater where tango was once danced and turned it into a massive bookstore, leaving the balconies, the stage, the lighting for the most part, and the magic. You can have a coffee or tea at the cafe on the stage. I don’t recommend ordering food though. It’s mediocre, and that’s being kind. Check out Argentina’s Travel Guide’s write up on El Ateneo (by the way, Argentina’s Travel Guide also has a pocket guide BA’s bookstores in .pdf format which you can download here). If you’re in a more chill mood and if you’re hungry, I’d recommend el Boutique del Libro. 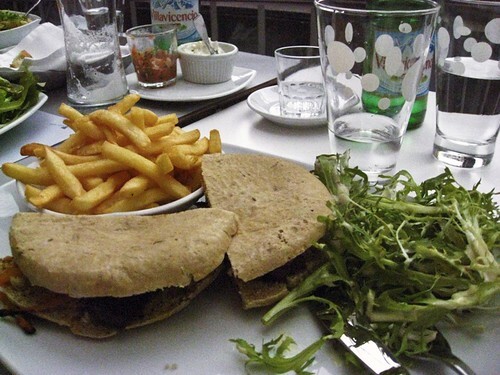 The food is much better and it has a grab-a-book-and-a-cup-of-coffee atmosphere. Plus, they’re usually playing great music. In fact, if you hear something you like, just ask the cashier in the music department what’s playing. The music selection isn’t large, but it is good. I could spend all afternoon here. 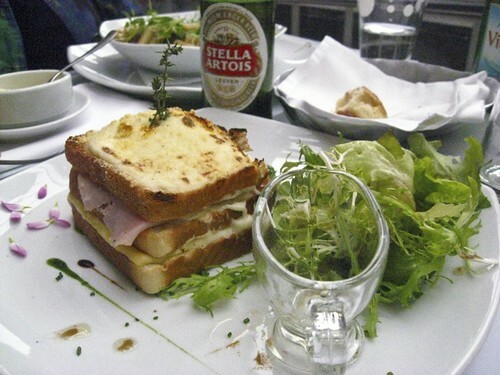 So, what are your favorite rainy day activities in Buenos Aires? Did we miss something? I’m sure we did. 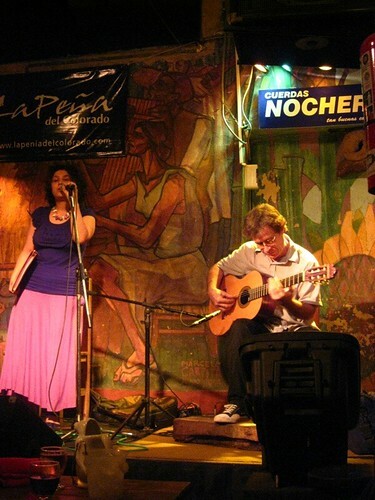 Where do you take a newcomer to Buenos Aires to show him the grittier, more rustic, and way romantic side of the music I so love? La Peña del Colorado of course (we mentioned it in our list of Ten Things to Do in Buenos Aires). The live shows are great, but I also recommend staying later to see the spontaneous guitarists and drunken singers that stick around until dawn. Plan for a late night. Last Friday we watched La Jury sing her heart out for over two hours. La Jury, whose real name is Luciana, is from Buenos Aires. She sings in the style called “canto criollo.” Here are the names of a few famous criollo singers from Chile, Argentina, and Mexico to help you get familiarized with the style should you want to study up on the style before getting here (Violeta Parra, Mercedes Sosa, Lhasa del Sela, Chango Rodriguez, Oscar Valles, Chavela Vargas). 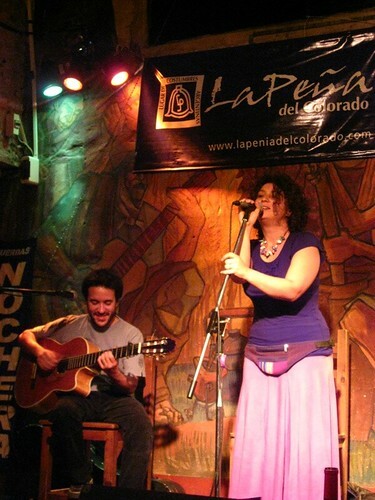 At first, La Jury was accompanied by Carlos Delgado on guitar and vocals. Midway through her performance, master guitarist, Carlos Moscardini, joined her. Amazing. Truly amazing. My memory stick was full, which was a total bummer because Carlos Moscardini’s guitar playing coupled with La Jury’s amazing pipes was truly spectacular. 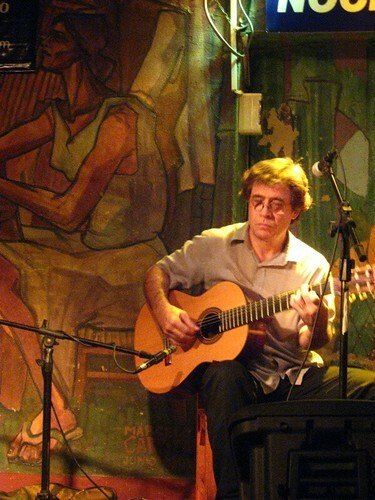 But here is Carlos Moscardini on guitar. Wow! La Peña del Colorado is located in Palermo/Barrio Norte on Guemes, 3657. Call for a reservation and ask for a table close to the stage. The show was scheduled to start at 10:00 but really began closer to 10:30 (as is to be expected in Argentina). It cost 25 pesos for the show, and we had some dinner, too. Now, let me say that I would not go to La Peña del Colorado for sophisticated dishes or the best of Buenos Aires (here’s the menu). But I love that it is so very typical. 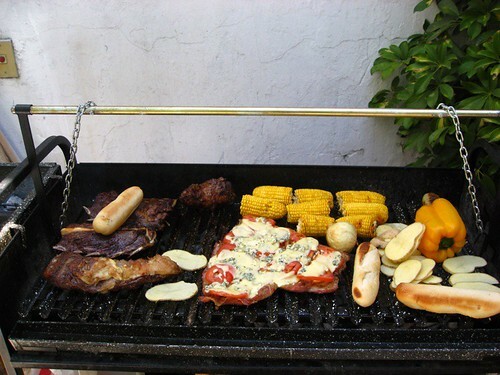 Typical parrilla fare. Very good empanadas salteñas. Yummy casseroles of pumpkin with quinoa and goat cheese. Traditional guisos or locro. Tablas of cheese, meats and olives. It’s not creative; it’s traditional. As it should be. If you really want to do things the way the locals do, order a penguino instead of a regular bottle of wine and ask for a bottle of soda to go with it. The penguino is actually the shape of the pitcher that the house wine is served in. 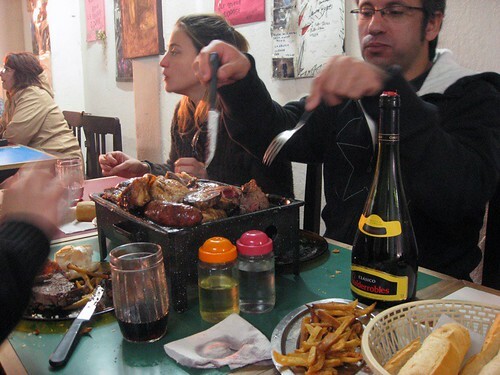 Because it’s not the greatest quality wine, Argentines often add a bit of soda to it. It’s like a sangria without the goodies. 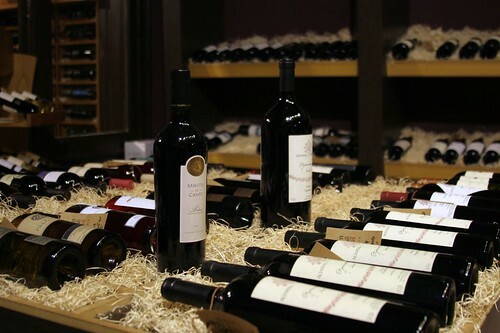 If you’re picky about wine, you might want to get a regular bottle first to have with your food and then switch over to the penguino when your taste buds don’t care anymore. 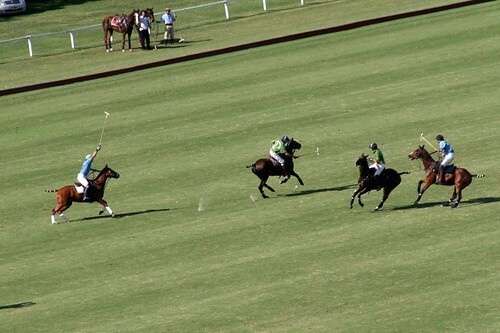 The 115th Argentine Open Polo Championship is underway in Palermo. 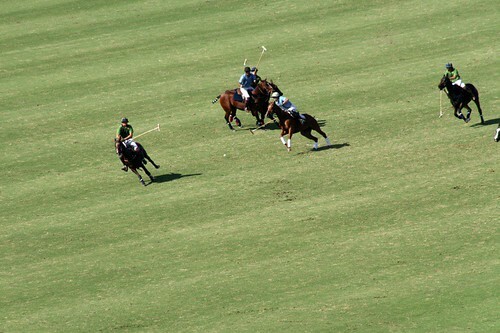 This is one of the oldest and most well respected tournaments in the world with some of the very best polo players. 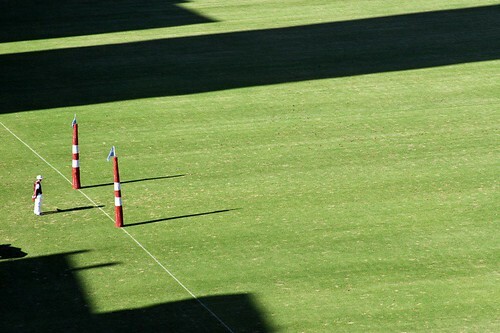 The matches are held on Saturdays and Sundays at 3:00 and 5:30 pm. There are two more weeks left, so get your tickets and spend the day in the sun hobnobbing with the hordes of socialites. We’re back. After a very long hiatus, mostly due to vacationing (check out my photos of Hawaii), somewhat due to work, and greatly due to my holding my breath until Obama got elected, we’re back to blogging. And it’s just in time really. My favorite night of the year is coming up. La Noche de los Museos (The Night of the Museums). That’s right, this Saturday, Nov. 15, the museums of Buenos Aires (and many other cities around the world, will be open from 7:00 pm – 2:00 am. It’s not just that visiting a museum after dark is fun, nor is it just that the museums are all free, nor is it that the city designates certain bus routes devoted to getting you from one museum to another, nor is it that the buses are also free. No, it’s that there’s champagne and music and dance and theater and really cool people and, of course, amazing art. Talk about a little slice of heaven. So, how does it work? Well, you need a plan. There are 120 museums and galleries participating this year, so choose which ones you want to go to based somewhat on their vicinity to one another. If you’re familiar with the major museums, try those in places like Barracas, Boedo, Mataderos, or Caballito. There’s a list of possible itineraries to consider on the website. How does one get around? Well, the city has doubled the number of buses running on the following lines: 29, 64, 78, 80, 87, 92, 100, 111, 127, 130, and 134. But make sure you print out your pass (Pase Libre) and carry it with you for free transport on these bus lines from 6:00 pm – 3:00 am. My personal advice is to steer clear of the big guys like MALBA. There are too many people so you’ll spend the whole night waiting in line just to get in. Plus, the MALBA is free on Wednesdays anyway. Find an area with several smaller museums close enough to walk from one to the other. Then take a bus to another area that also has several museums you haven’t visited. Go with some friends and wear comfortable shoes. P.S. La Noche de los Museos actually marks the beginning of my third year in Buenos Aires and the anniversary of the night I met the other two members of the San Telmo Loft trio, Natalia and Gonzalo. Two years ago, I met Naty and Gonzalo through a friend. They invited me to join them that night. We started at the Fragata Sarmiento in Puerto Madero. And many blisters later we ended up eating an asado in Belgrano after having visited the Casa de Yrurtia and Museo de Arte Español Enrique Larreta. We saw a live rock band, live tango dancers, a theater performance, a ton of history, amazing architecture, fabulous pieces of art, and a good bit of the city along the way. Now that’s how I like to spend a Saturday night! A Canadian chef, Taryn Wa, stayed in our loft in March. 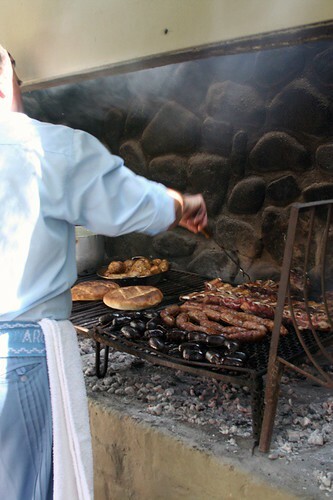 She wrote a post, “Eating Out, Porteño Style,” on her blog, Buen Provecho, about the culinary treats she found while traveling in Chile, Argentina, and Uruguay. 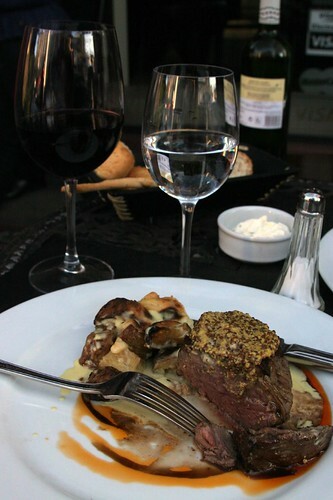 Food is definitely one of the reasons to come to Buenos Aires. I love how Taryn describes the porteño approach to dining.